What are your priorities as far as positioning is concerned? Priority 3 = Save the shot after the ball goes to the far post. GOAL 1 – Saving the Shot. Goalkeeper must be set, and as the player goes wide, ensure that he/ she is outside the line of the post. Save shot as normal, ensuring clean hands so as not give a way a corner of drop in the path of players. GOAL 2 – Is created when an opponent goes to the goal line. The goal is now the post to an imaginary post on the 6 yd box. The goalkeeper has to save in this goal as if it is our real goal. Bodyweight forward, set etc. By saving in this goal, you are cutting out the cross and any danger. GOAL 3 – Is the far side of the big goal when the ball is played to the far post. Either lofted or driven. 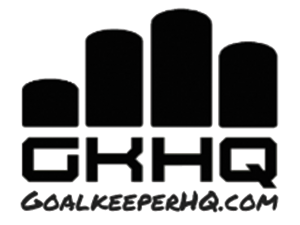 The goalkeeper must get to this side of the goal as quick as possible. A cross over step is allowed as it enables running, the fastest way to move. Goalkeepers however must ensure they are set before making a save. The key to success is to move along the line of the goal rather than following the ball off the line. If you are not going to get to the ball you should stay on your line for more reaction time.